Published by G. T. Cheshire & Sons Ltd., Kidderminster. History of the twelve fighting battalions - on the Western front, at Gallipoli, in Mesopotamia, Macedonia, Italy and Persia. Roll of Honour, list of Awards. A magnificent publication it is with its profusion of maps, illustrations and photos - each page of photos contains several. The Worcesters was one of the five regiments that had four regular battalions before the war, with two special reserve and two territorial battalions. By the end of the war another fourteen battalions had been raised for a total of twenty-two of which twelve went on active service. 9,460 officers and men gave their lives, 71 Battle Honours were awarded and eight VCs one of whom, attached to the RFC, was the airman Leefe Robinson, famous for shooting down a zeppelin. Battalions served on the Western Front, in Gallipoli, Macedonia, Mesopotamia, Italy; one battalion ended the war in North Persia. Appendices provide the Roll of Honour; Honours and Awards including Mention in Despatches, with date of Gazette (for ‘Companion’ of the British Empire read ‘Commander’); details of Badges, Colours and Distinctions of the regiment; and the music for regimental marches. Illustrations are by wel	l-known artists depicting battle scenes including each VC-winning action - apart from Leefe’s zeppelin. After considering various factors, explained in his very informative preface, the author decided to present this history as one general story in which the number of the battalion concerned is printed in the margin of the pages dealing with its deeds. Attention is paid to minor actions such as trench raids, which usually find no place in compressed official histories; they are recorded in this history. The plans illustrate the engagements recorded in the book, and are designed to depict the part played by the several battalions in their battles and to enable the visitor to the battlefields to recognise the ground on which each fight took place, as much as to make clear the general course of those actions. The book opens with a very interesting account of the regiment in the years before the war, beginning at the turn of the century, and there is a very comprehensive index of 25 pages. Is available from Naval & Military Press. It is printed in two large volumes of 667pp, plus 127 plans/maps, 22pp b/w illus and 36pp of b/w photos. The book is currently available for a special price of £45 which is excellent value for money as an original copy would cost several hundred pounds if you can find one. This book is also now available on CD ROM from Midlands Historical Data, 49 Blossomfield Rd., Solihull, West Midlands, B91 1NB, England. Check out the Military Book section on their website. A meeting of the History Sub-Committee of the Worcestershire County War Memorial was held on Saturday, 27th October, 1928. Capt. 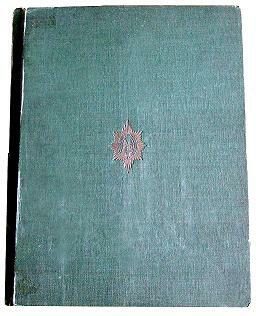 H. Fitz M. Stacke reported that the whole of the proofing of the book, including the index, was practically completed, and he submitted the first 30 pages, including the title page, dedication, foreword, preface, notes to the maps and plans, contents and introduction, etc., which were examined and approved by the meeting, as also was the arrangement of the photographs and letterpress. The meeting requested the Hon. Editor to send a letter of thanks from the Committee and a free copy of the book to the draughtsman at the Staff College, for the valuable work he had done in preparing the maps and plans. The meeting confirmed the action of the Chairman in inviting certain gentlemen who had done good service for the County and the Regiment at home during the war, to lend their photographs for reproduction and inclusion in the History. Upon the motion of Field-Marshal Sir Claud Jacob, seconded by the Chairman, the meeting resolved that the grateful thanks 0f this Committee be given to Capt. 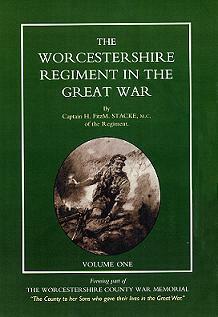 Stacke for the time and energy he has expended on the work of compiling and editing so comprehensive a History of the Worcestershire Regiment. Speaking for the Regiment, the Field-Marshal desired to thank Capt. Stacke most gratefully for all the time, hard work and trouble he had been to in order to produce a really good history. He had read through it, and it was so well arranged that the doings of any one of the many Battalions of the Regiment in existence during the War could be easily followed. He thought it was better than any other Regimental History he had seen. Upon the motion of Field-Marshal Sir Claud Jacob, seconded by the Chairman, the Meeting resolved and directed:— That a free copy of the book be sent to the Staff College, Camberley, Royal United Services Institute. Field-Marshal Sir Claud Jacob undertook to present copies to the Royal Military College, Sandhurst, and to the Royal Military Academy, Woolwich. That Field-Marshal Sir Claud Jacob be requested to invite His Majesty the King and H.R.H. the Prince of Wales to be graciously pleased to accept a copy of the History and that in the event of a favourable reply two specially bound copies of the History be made for that purpose, and be presented to His Majesty and His Royal Highness by Field-Marshal Sir Claud Jacob. The Hon. Secretary submitted to the meeting a statement of the financial position of the History Fund to date, showing a balance at the bank of £358 13s. 9d., and £297 promised by subscribers for 792 copies of the book at 7s. 6d. per copy. Upon the motion of the Chairman, seconded by Field-Marshal Sir Claud Jacob, the meeting resolved that the book be issued to the subscribers who have already paid at 7s. 6d. per copy, but to those who have ordered it and have not paid and to the members of the Regiment and their wives and children, parents, grand-parents, brothers, and sisters, at 7s. 6d. per copy plus 1s. 6d. for packing and postage, and to all other applicants at 15s. per copy, plus 1s. 6d. for packing and postage. The meeting directed that a circular be sent to those who have already ordered copies, but have not paid for them, stating that the book will be forwarded to them on receipt of the sum of 9s. Page 8 —fifteen lines from foot of page - " (B2)" should read " (B1)" ; and, two lines further on, " (B3)" should read " (B2)"
Page 43 — line 10— Initials of Lt.-Colonel Garnett should be "F.H." Page 47 — illustration facing page 47 —initials of Lt.-Colonel Garnett should be "F.H." Page 67 — footnote (d)—1/8th Bn. for "Kewrood" read "Kerwood." Page 73 — line 34— footnote (d) should read “(e)” and also in the footnotes to the page. Page 106 — line 41 and footnote (c) :—initials of 2nd-Lt. Greenway should be “D. H. W.” (see page 622). Page 170 — at the end of the second paragraph add "(b)"
Page 170 — last paragraph the word "haft" sould read "shaft"
Page 179 — footnote (c)—First line—last word should be "wood"
Page 192 — footnote (a), line 3. after “Captain Hopewell” for “was” substitute “. . . . .and Captain Tomkinson were . . . ."
Page 284 — marginal number opposite line 21 - " 1/8th" should read " 2/8th"
Page 284 — footnote (c)— "M.M. was awarded to Pte. B. Norris" should read "M.M. was awarded to Pte. B. Novis"
Page 300 — footnote (f) :— “Lt. L. G. Hepstead” should read "Lt. L. G. Mepstead"
Page 321 — Bottom of page in notes (h) “Lt. G. V. Hammersley” should read "Lt. E. V. Hammersley"
Page 483 — fourth line from foot of page—for” 1/8th” read “ 2/8th." For lines 17-18 substitute— " . . . . . . dark, reconnoitring patrols went forward. One minute after midnight a patrol led by Captain N. M. Goodman crossed the canal and found the enemy’s outpost line deserted. The news was sent back. The remainder of the Battalion quickly followed . . . . . . "
Page 536 — the regimental numbers of the two Sergeants H. Smith should be interchanged. Page 548 — add “Gibbon W. D. Lt.-Colonel—Order of La Solidaridad (Panama) . . . 17/2/20." Page 581 — Col. 2., "Hepstead, L. G., Lt." should read "Mepstead, L. G., Lt."
Page 583 — delete” Kirley R.M. Lt.” and to” Kirby R.M.” add page 501. Page 593 — delete "Tyree, J, 2/Lt. The entry below it should read “Tyrie, J. 2/Lt. — Capt. . . . . . 181, 556." Page 601 — Col. 2., “1st Battalion” the surname “Balkeway” should read “Blakeway”. Page 607 — Col. 1., 9th Battalion:— add new line with "Box, Arthur Frederick, 35272, Pte., Mesopotamia, Home, 9/8/18"
Page 613 — Col., 2., “Reserve Battalions, etc.” :— add new line with "Cheal, George, 5239655, d. of w., Home, 14/7/21"
Page 618 — Col. 1., “1st Battalion” :—“Forsyth, James Corson, 2/Lt., F. & F., 31/8/17.” date of death should read 30/8/17. Page 618 — Col. 2., “3rd Battalion” :— add new line with "Fellows, Ernest, 9722, F. & F., 26/7/15"
Page 624 — Col. 1., “1st Battalion” :— “Hedworth, Thomas Hedworth, 2/Lt., drowned, 10/10/18” should read “Hedworth, Thomas, 2/Lt., drowned, 10/10/18” also add “was with 1st Garrison Battalion” - should be listed under “Reserve Battalions, etc.” on page 630. Page 624 — Col. 2., “2nd Battalion” Hall, James, 7507 :—date of death should read 31.10.14. also name should read Hall, James Richard. Page 625 — Col. 1., “2nd Battalion” Holland, Edward Matthew, Lt. :—date of death should read 6/11/16. Page 632 — Col. 2., “1/8th Battalion” :— add new line with “Johns, Albert, 242048, Pte., F. & F., 24/4/17"
Page 632 — Col. 2., “2/8th Battalion” :— remove “Johns, Albert, 242048, Pte., F. & F., 24/5/17" as he was in 1/8th Battalion and date of death wrong. Page 635 — Col. 1., 1st Battalion — Leach, Eric Thomas :—date of death should read 22.10.18. (please note that the Commonwealth War Graves Commission still shows his date of death as 14.10.18). Page 635 — Col. 1., 2nd Battalion :— date of death for “Lea, Gerald Ernest, Capt. F. & F.,” should read 16/9/1914. Page 637 — Col., 2., “Reserve Battalions, etc.” :— “Lloyd, Ira Cyril, 2/Lt., 24/11/18” removed and added to 2/8th Battalion on page 636 (see above). Page 637 — Col. 2., “Other Units” :—add Regt No. “12944” at end of line for Lamb, Frederick Ernest. Page 638 — Col. 1., 2nd Battalion: “Christian names of Mountford should read "Louis" Also add a footnote stating that his true family name was Doffman but he served as Mountford. Page 639 — Col. 2., 2/7th Battalion: delete "Minors, Ronald Towers, Capt" as his name is now moved to page 641 (see below). Page 640 — Col. 1., “1/8th Battalion” :— "Munford, Horace William, 2284, Pte., F. & F., 30/8/16." should read "Mumford, Horace William, 2284, Pte., F. & F., 30/8/16." Page 640 — Col. 1., “2/8th Battalion” :— "Merrifield, Percy, 2/Lt., F. & F., 21/3/18." should read "Merifield, Percy, 2/Lt., F. & F., 21/3/18." Page 641 — Col. 2., “Reserve Battalions, &c.” :— "Miles, W. N., 2/Lt., att. R.A.F., died 24/7/18." should read "Miles, William Norman, 2/Lt., att. R.A.F., died 24/7/18." Page 642 — Col. 1., “4th Battalion” :— delete "Newcombe, Clark Charles Upham, 2/Lt., F. & F., 17/8/17." - see below moved to 10th Battalion. Page 642 — Col. 2., “10th Battalion” :— add "Newcombe, Clark Charles Upham, 2/Lt., F. & F., 17/8/17." Page 651 — Col 1., “1st Battalion” :— “Saunders, Edward, 24111, F. & F. 10.2.16.” ; surname should read “Sanders”. Page 657 — Col. 1., “2nd Battalion” Tucker, Joseph Charles, 8336 :—date of death should read 31/10/14. Page 657 — Col. 1., “2nd Battalion” Tyler, William, 23690 :—add extra chistian name to read “William Arthur”. Page 658 — Col. 1., “4th Battalion” Taylor, George, 21049 :—add extra chistian names to read “George Thomas R.”.